Although I’ve not had a lot of luck growing them on my homestead, carrots have a special place in my heart. Any vegetable that you can turn into a dessert is what I consider to be the very best of both worlds. 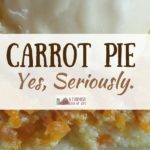 A lot of people know that I really love to make carrot pie—seriously, go check that recipe out if you don’t know what it is—but another special treat that we like to have in our home is carrot cake. And we do it up fancy. 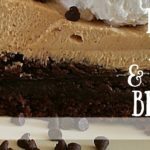 Although you can make this recipe in a 9×13 pan, I always make this as a triple layer round cake. Fancy farmhouse stuff, y’all. Carrot cake can have nuts and raisins, but having one or both of those ingredients would keep all of the men in my house from eating it. Then again—what am I doing? I should add the nuts and raisins. Then I could have the whole cake to myself. Sometimes a farm(ish) girl doesn’t like to share. And this cream cheese frosting? Y’all. It’s amaze-balls. It’s not super obnoxiously sweet, which makes it a total win in my book. It’s basically a lot of cream cheese and a lot of butter—with some powdered sugar and vanilla tossed in for good measure. I mean, I would put this cream cheese frosting on anything that could get away with being frosted. Store this carrot cake in the fridge. I know there are some if, ands, and buts out there about whether or not cream cheese frosting things need to be refrigerated, but you should definitely store this cake in the fridge—if for no other reason than it just tastes that much better when it’s cold. Remember, carrots are the magical vegetable. 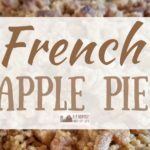 What else can be served as a side with supper but also turned into a yummy sweet treat that you could have with ice cream? Carrots are simply amazing. A delicious triple layer cake with the absolute best cream cheese frosting you will ever taste. In a large bowl, beat eggs and oil. Add vanilla and sugars, beat until well mixed. In a separate bowl, combine flour, baking soda, baking powder, salt, and spices. Then add the flour mixture (a bit at a time) to the larger bowl and mix to combine. Add the carrots, stir to combine. If using walnuts and/or raisins, add those at this time as well. Put batter in greased and floured 9x13 pan and bake at 350 for 1 hour OR put batter in three greased and floured round cake pans and bake at 350 for 30-35 minutes. Cool for at least one hour before frosting. To make frosting, mix butter and cream cheese until thoroughly combined. Add powdered sugar, 1 cup at a time, and the vanilla. Mix until smooth. Frost cake.